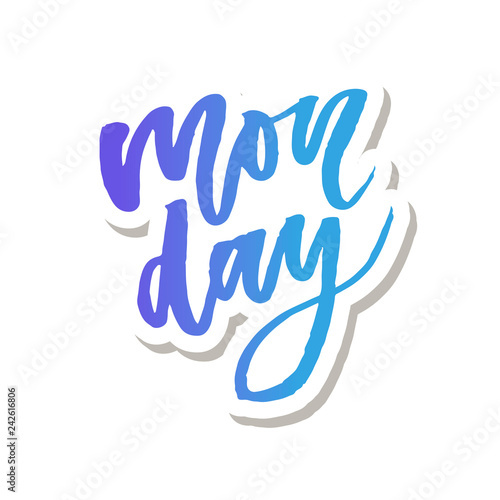 Monday - Vector hand drawn lettering phrase. Modern brush calligraphy for blogs and social media. Motivation and inspiration quotes for photo overlays, greeting cards, t-shirt print, posters.